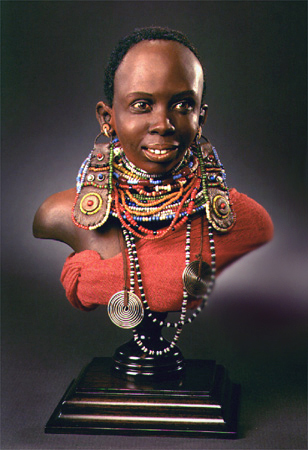 Creager Studios - "Maasai Woman"
hand painted Quality Polymer Clay, approx. 6" tall. East African tribe of Maasai.